We have so many new and exciting things in this newsletter- Hang on to your hats! First we have been working to bring you an easier way to contact us and to keep up with what is happening! 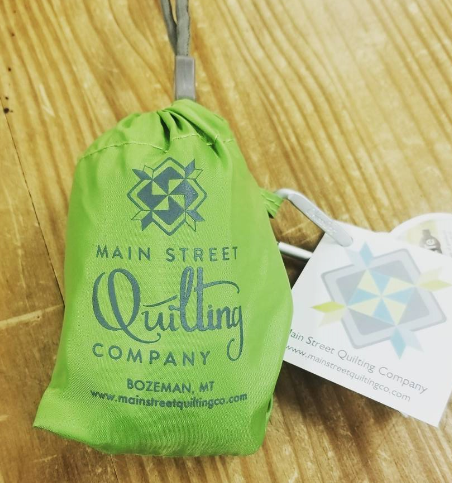 INTRODUCING: The Main Street Quilting Company app. Currently only available on Android devices, we are anxiously awaiting the "go ahead" from Apple to publish our app in their play store. 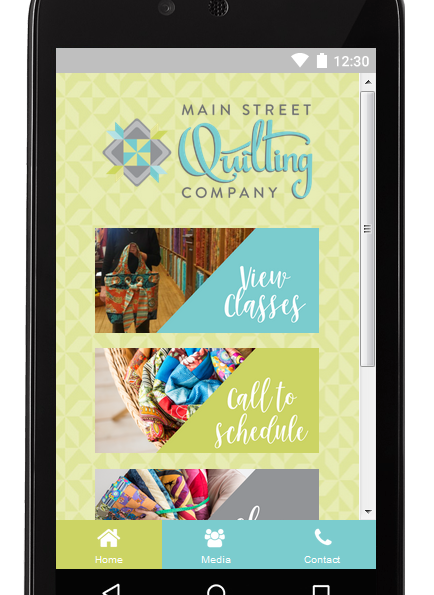 To download, simply go to your app store on your phone or tablet to search for Main Street Quilting Company. Once the app is installed you will have access to a Thank you coupon, you will be able to see our classes and even call us directly if you need. We will be using the app to send out exclusive coupons to app users as well as other important notifications. We are super excited and cannot wait to keep in touch with you! And now for our Second BIG NEWS: We have a new program at MSQCo that will help us, the environment and YOU! We have worked with the Chico Bag Company to bring you a reusable bag... I am in love with this cute bag that was made from recycled plastic bottles. The bag easily stuffs into it's attached pouch and can clip right onto your keys, purse or sewing machine case. The best part is that every time you use your bag to take home your purchases from our store, you will receive 10% off that purchase. (*Few exclusions apply *Bag must be present for discount). Stop by and get yours today. Quantity is limited. 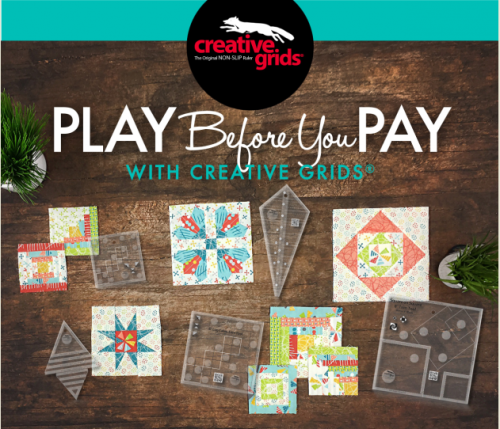 Third BIG NEWS: We have Penny Haren from Creative Grids coming to our store on October 9- Penny is one of the lead designers at Creative Grids and she is only coming to a few towns in Montana. Sign up today to join us for "make and take" day. 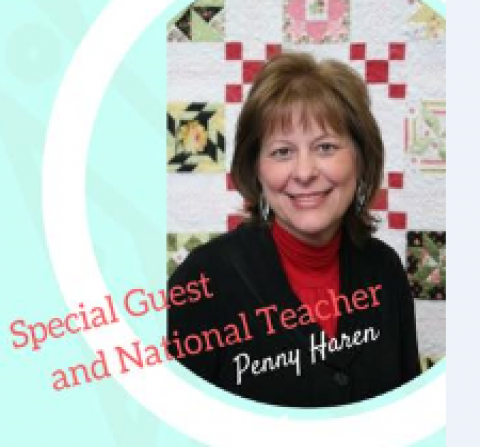 I spent quite a lot of time on the phone with Penny talking about her class options and I am thrilled she will be coming to teach her Medallion quilt components. 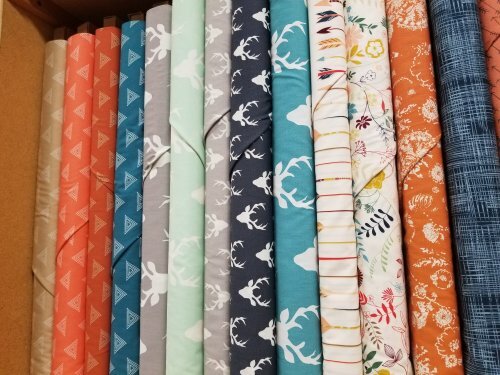 Penny is bringing a 30 quilt trunk show that you will NOT want to miss. She will also be demonstrating blocks and you will be making a sample of each of the demonstrated items. Call the store to sign up today- Your registration will include teacher fees, kit needed to make the projects and a special store coupon. Bring your machine the day before and get a seat early. Space is limited. Morning and Evening sessions available. 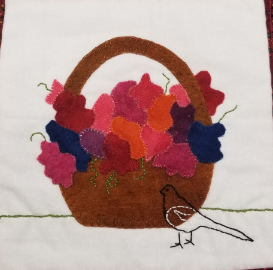 Kimberbell Embroidery Class- Last Weds of each month starting Nov 30th. 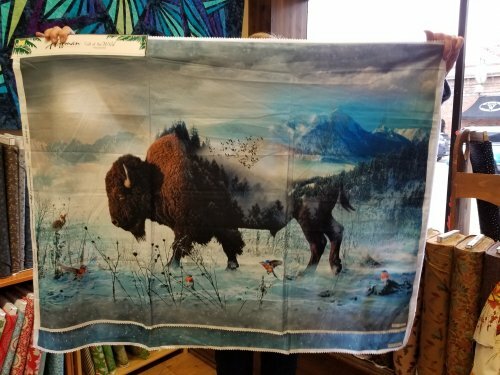 Embroidery classes for all makes and models of machines.We have a Kimberbell Dealer Program with exclusive designs that you will not find in her "over the counter" collections. You will not want to miss the fun. Class fee plus kit required for each class. Intro to Wool Applique-Are you interested in learning to applique by hand? We'd love to have you call us to get on our interest list. We will be choosing a day this fall that would work for all involved so call us today! Learn the ins and outs of wool applique. 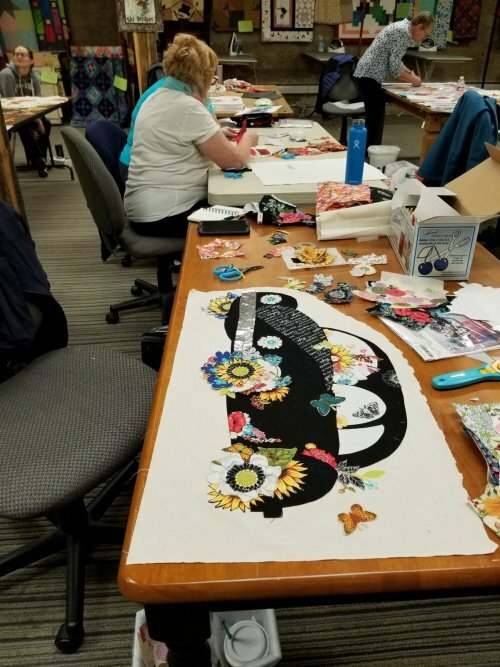 We will be teaching all you need to know about hand applique, including multiple techniques. This is a great refresher course if you just want to brush up on your skills. You will leave with a good start on your very first wool applique project! 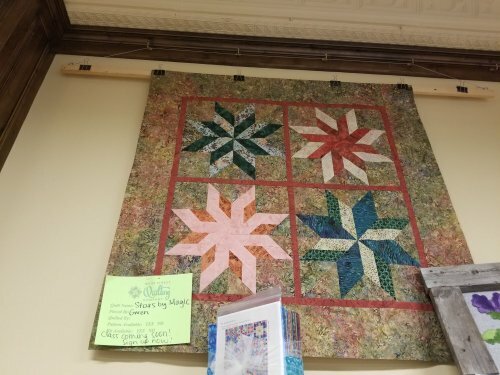 Beginning Quilting Mini Camp- Starts Nov 14 runs for 4 weeks. You will learn to make 4 basic blocks and add the setting that you desire for a runner or a table topper. This class is a great starter if you are unsure about joining the 12 week class. 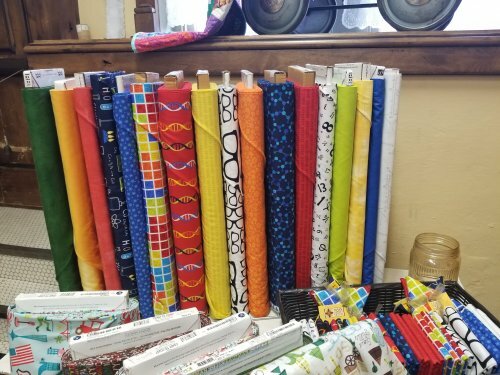 If you want to learn to quilt but don’t have the time for a 12 week class, we have your covered! 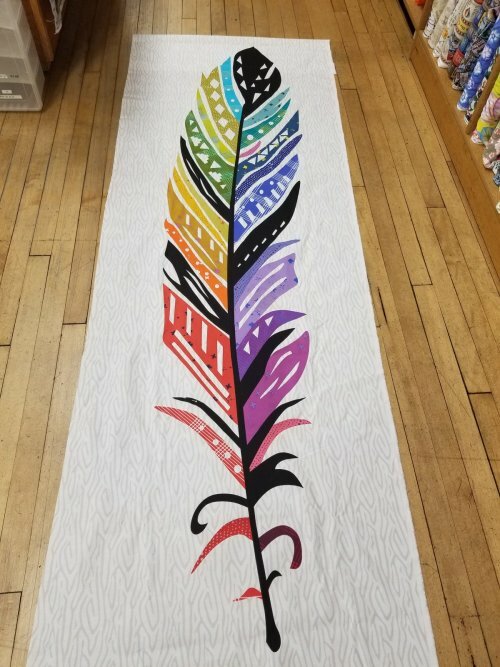 Learn to make 5 different quilt blocks in just 4 weeks and finish with a unique table runner! 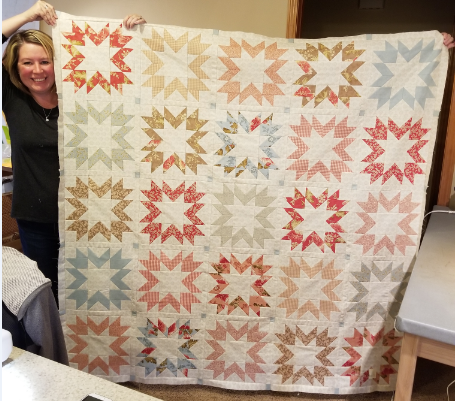 Beginning Quilting Full Session- 12 weeks- starts March 2018- Megan B is generously letting us show off her Beginning Quilting Class quilt above. 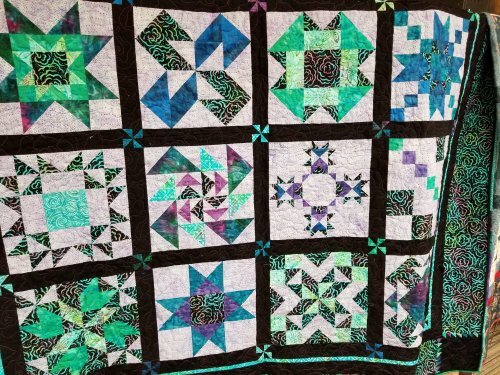 This 12 week sampler class starts with the basics from cutting fabric properly to trimming and making those perfect blocks. 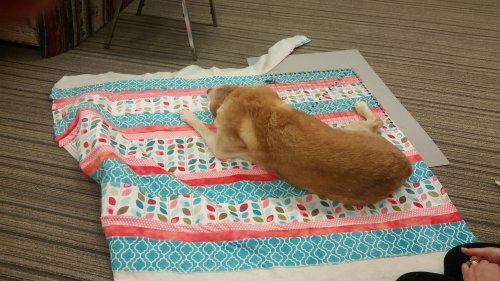 Make your own sampler quilt in twelve 3hr sessions! When you’re done, you’ll be ready to tackle all those projects you’ve always wanted to create! 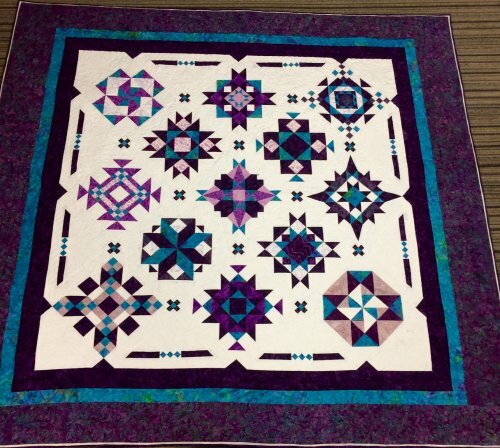 Intermediate Quilting- 14 weeks starting Nov 30- 2 spaces left in am class and 3 spaces remaining in pm class. 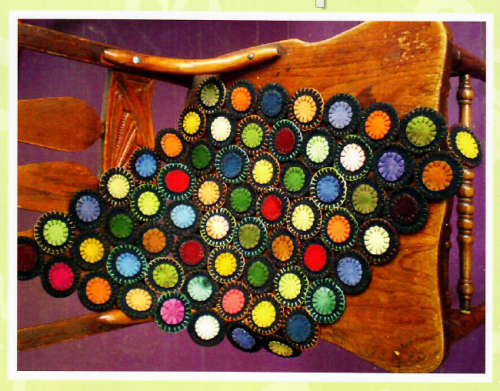 Advance your quilting skills and make a quilt using the book “Red at Night” in fourteen 3hr sessions! Quilt courtesy of Kari A.
T-shirt Quilt Class- We'd love to have you call us to get on our interest list. We will be choosing a day this winter that would work for this tow day class so call us today! 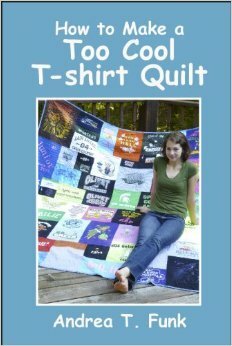 If you have old t-shirts that you never wear anymore and don’t know what to do with them, this is the class for you! 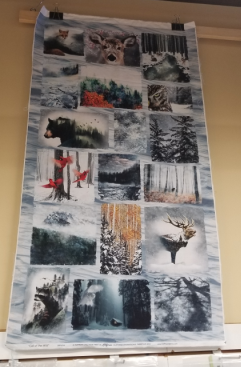 Create a quilt that holds all your memories. Minkee Quilt-As-You-Go- Oct 21- Join us for this one day get it done class! MSU has an away game that day so you can sew, sew, sew with us. This was a class that our Saigey loved as you can tell by this photo. Make an incredibly soft minkee quilt for a loved one (or for yourself) from start to finish in one Saturday! 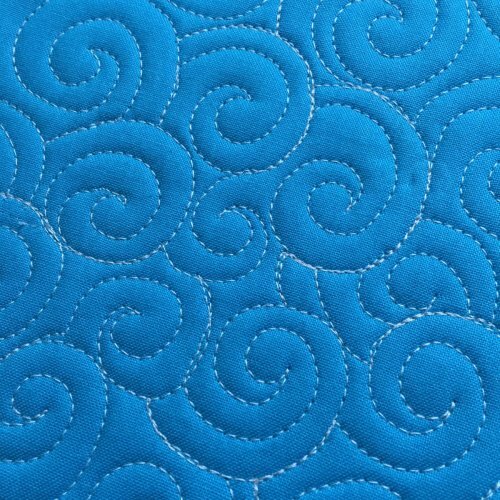 Free Motion Quilting- Want to try free motion quilting on your home machine? We will walk you through the steps from choosing thread and needles to batting and the free motion designs. We cover it all! Call today and let us know you are interested in this class. We will be scheduling it shortly. Learn the Long Arm- Oct 19. We have our long arm machine up and are ready to teach you to use it. This class is a mandatory prerequisite to renting the store long arm. Space still available in the 1 pm afternoon class. Evening class is full. 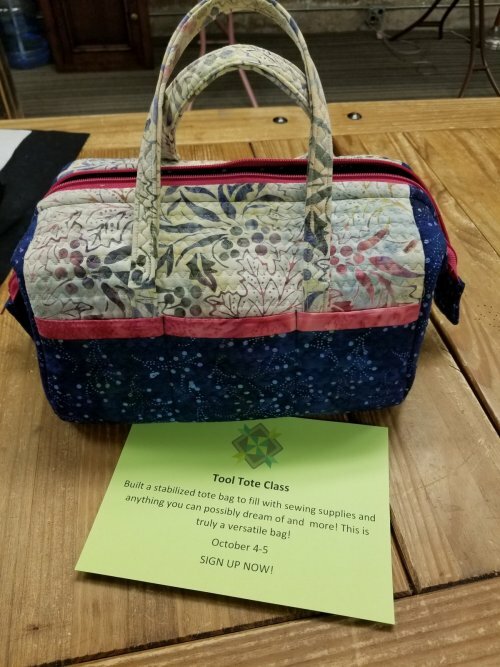 Tool Tote- Nov 15-16 This two day class will show you how to construct this awesome, handy bag. We have two sizes of bags to choose from! Build a stabilized tote bag to fill with sewing supplies and anything you can possibly dream of and more! This is truly a versatile bag! Stars By Magic- Love stars? Dec 1st This fun class will show you a unique and precise way of making star blocks. 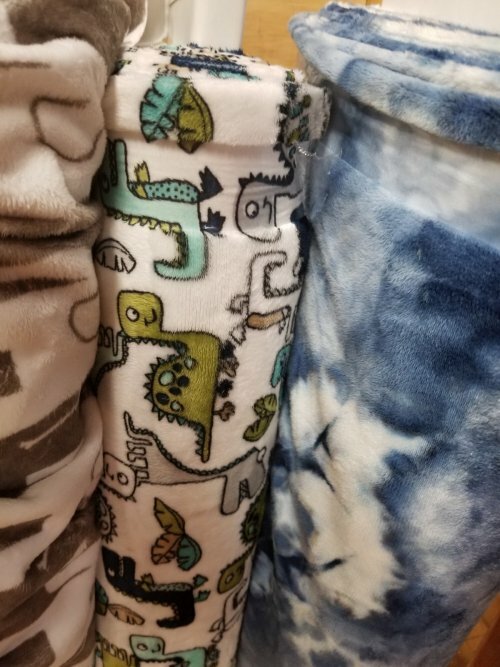 No "y" seams or diagonal cutting involved! There are lots of options for quilt layouts also- make a quilt with little stars or a larger version. 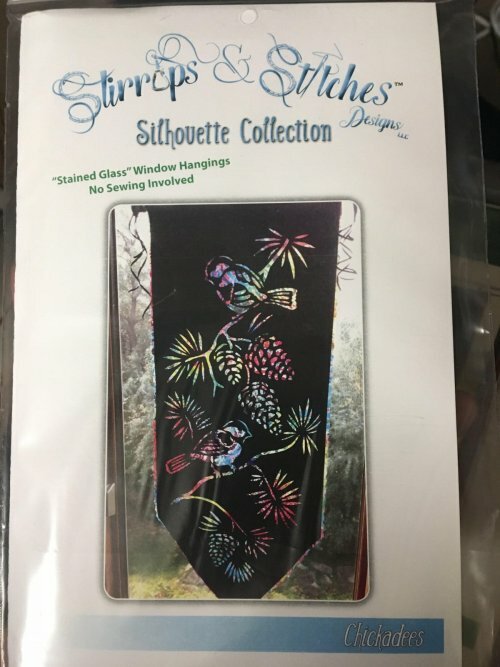 Stained Glass Applique- Oct 16- evening class only.Create a unique silhouette wall hanging using one of Stirrups & Stitches’ patterns. Spend the day creating this colorful project with us! Stash Busters- Scheduled for the last Monday of each month, starting Oct 30 6 pm. Bring your stash and use it up! 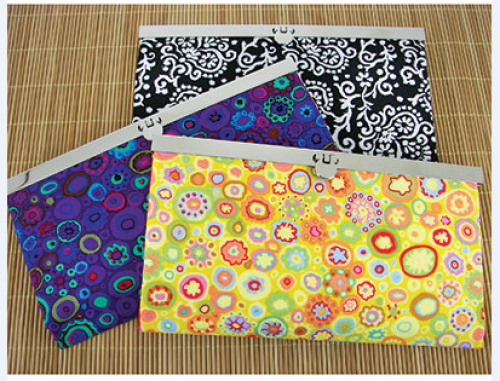 We can share amongst classmates to find just the right fabrics for your quilt. We will have various sizes to choose and a fun dessert too! Collage Class- Leslie was just here with two back-to-back sessions of collage fun. If you missed this time- call us to get in on her next class. We have tentatively scheduled it for January. Dress Construction & Pattern Reading- Nov 10-11 Fri eve/Saturday. Are you a quilter who has always wanted to learn about garment construction? Now is the time! 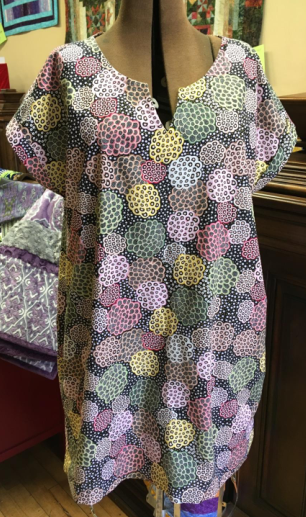 In this day and a half class we will go over garment pattern reading and terminology, and leave with your very own tunic dress! 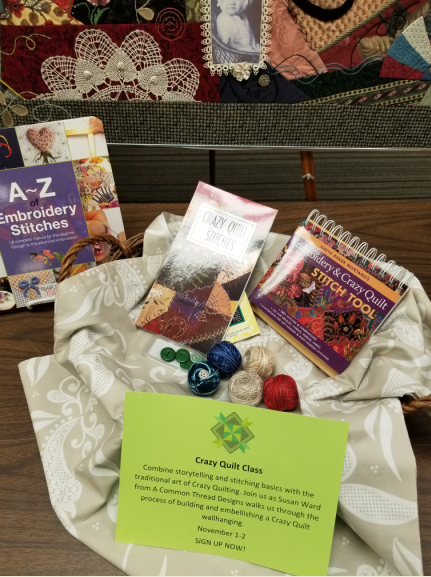 Crazy Quilt Class- Nov 1-2 Two wonderful days with Susan Ward who will help you construct and embellish a crazy quilt wall hanging size. Combine storytelling and stitching basics with the traditional art of Crazy Quilting. 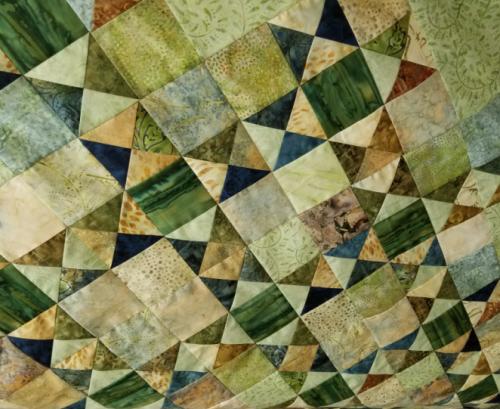 Join us as Susan Ward from A Common Thread Designs walks us through the process of building and embellishing a Crazy Quilt. Aviary Laser Kit - Add your own backing and fuse a gorgeous wall hanging or table runner. "Geek" Fabrics for the mathematician and scientist in your life. Two new panels from Hoffman- Coming in late October- The third image show the collage panel currently in the store. 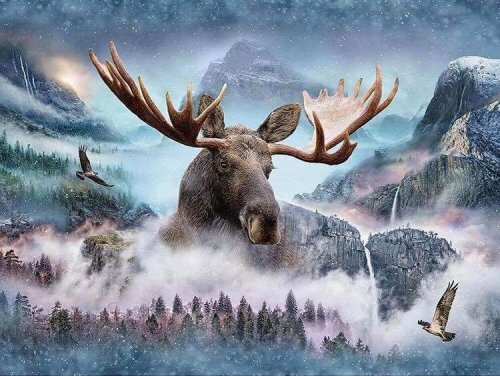 We are taking pre-orders now for the Moose and Bison we will be restocking the Bear, Elk and Eagle soaring scene also. Let us know if you didn't get those yet. New from Minkee has arrived... Kits are coming shortly. More digital floral panels have been ordered if you missed the first run. 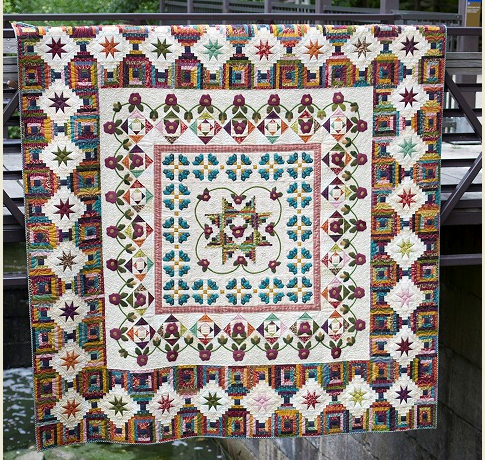 We will also be kitting up this Main Street Quilting Co exclusive pattern. Call today to get on the waiting list. 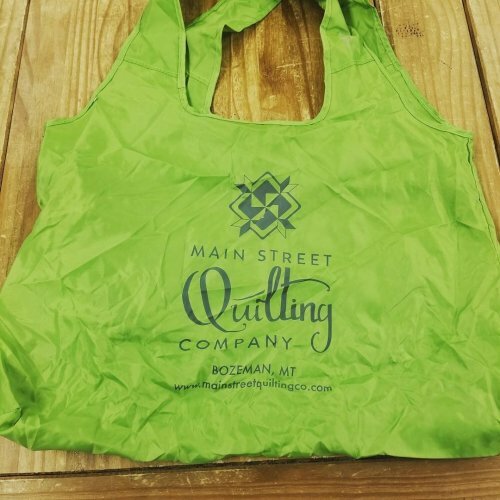 Main Street Quilting Company hosted our Second Annual Fall retreat last month and it was a wonderful time of laughter, sewing and catching up with new and old friends alike. I have had an overflow of people interested in joining us. So we have reserved the retreat center again for October 12-15. We limit our retreat to 8 people so this is a great time to grab a friend and start those Holiday projects or finish what you need while we enjoy the comfort of the Windy Stitches Retreat Center. Gwen will be on hand to help with your projects. Brunch is provided each morning and we will make cooperative dinner plans. Please call Gwen @ 406-586-6097 to reserve your spot today. Cost: $200 for the 4 day retreat. 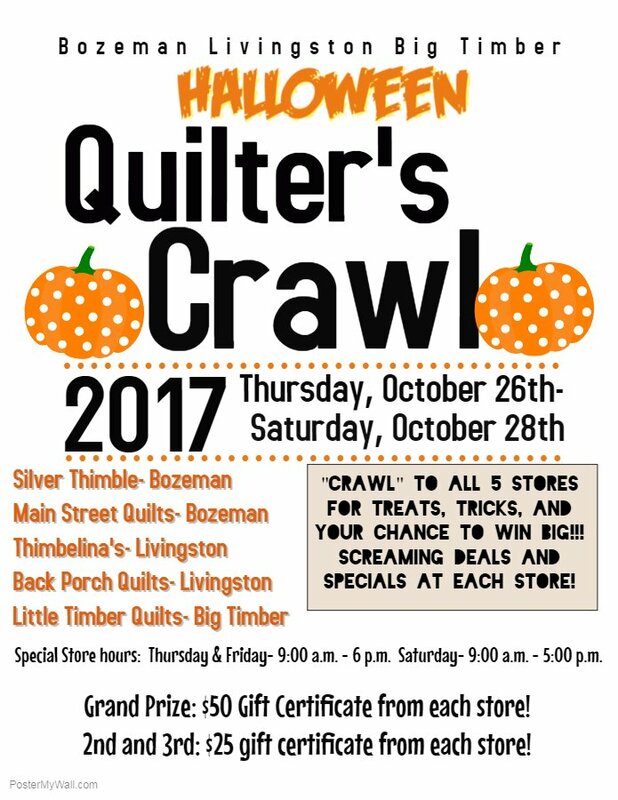 Don't miss out on our second Annual Quilter's Crawl. 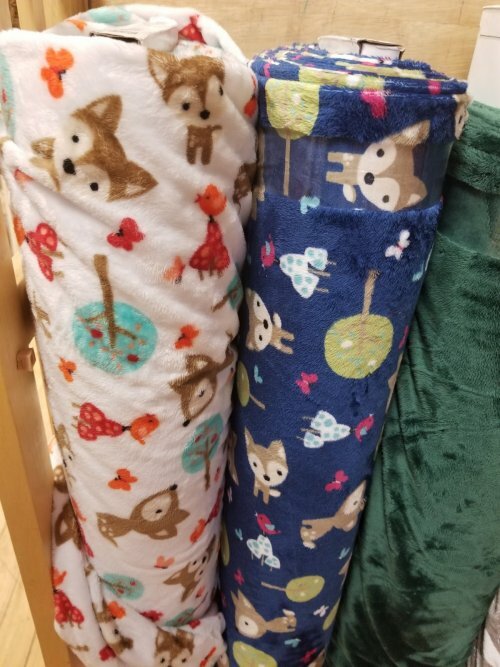 This year, each store will have an exclusive pattern just for you! Row By Row Adventure is opening up a New Wool Program called Wooly Block Adventure 2017. We have worked with wool pattern designer, Connie Dilts to design our cute Sweet Pea Basket Block. Connie is designing an entire collection of these blocks that will work well together that you will find in the shops that carry wool in our area. Here is the info straight from the RxR website for you! 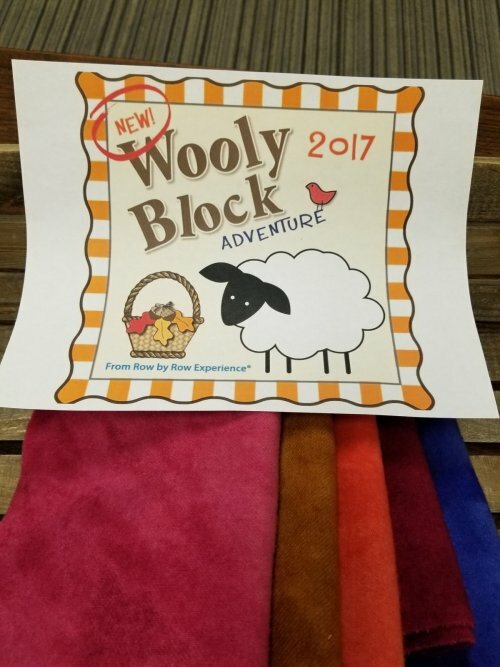 Just like before, simply visit any participating Wooly Block Adventure™ store this fall October 16 - December 15 to receive one 8-inch wool appliqué block pattern for free! But wait... visiting the shop is not the only way to receive a shop’s Wooly Block pattern. Patterns and kits may be purchased online and by mail order during the event! You do not need to be near participating shops to have fun and collect with Wooly! Claim a prize! 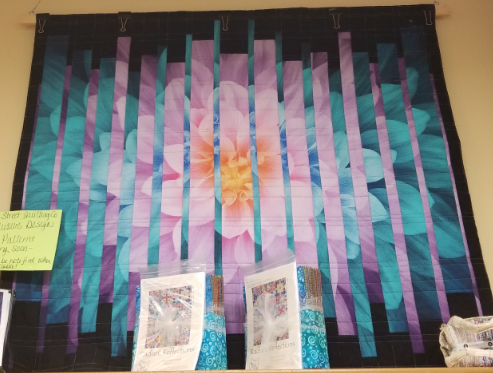 Create a project of your choice using at least 8 WBA patterns from 8 different participating WBA Fall 2017 stores. Be the first to bring it into a participating shop to win a prize bundle of a wool fat quarter and a $25 gift certificate. You have until February 15, 2018 to claim a prize! Be sure to collect your blocks during the fall season. After December 15, the Wooly patterns go into hibernation to allow those who collected patterns to complete a project. 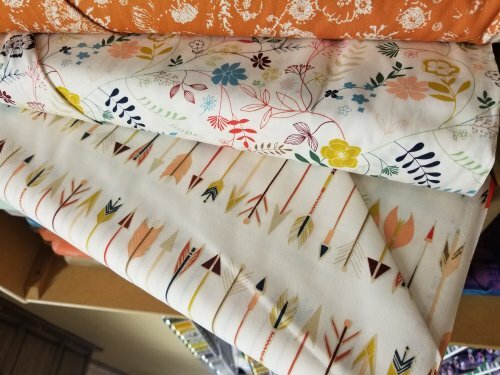 After February 15 stores may choose to offer patterns and kits again. Kits in the colors below will be available to you starting Oct 16th. We hope you join in the fun!